While the winter still maintains its cold grip over almost all Europe, here in Malaga already begin to bloom the almond trees. If you come in February to Malaga take a look at our Events Calendar Malaga February 2019. The Rockin Race Jamboree is a festival dedicated to root music with a wide range of styles from the 40’s, 50’s and early 60’s. 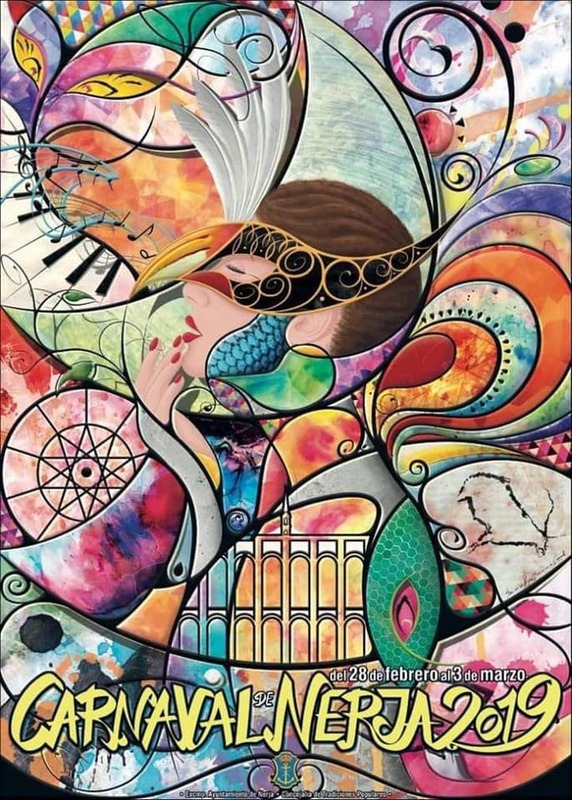 At the auditorium of Torremolinos takes place every February this great event, which is one of the most interesting events in the cultural winter calendar on the Costa del Sol. 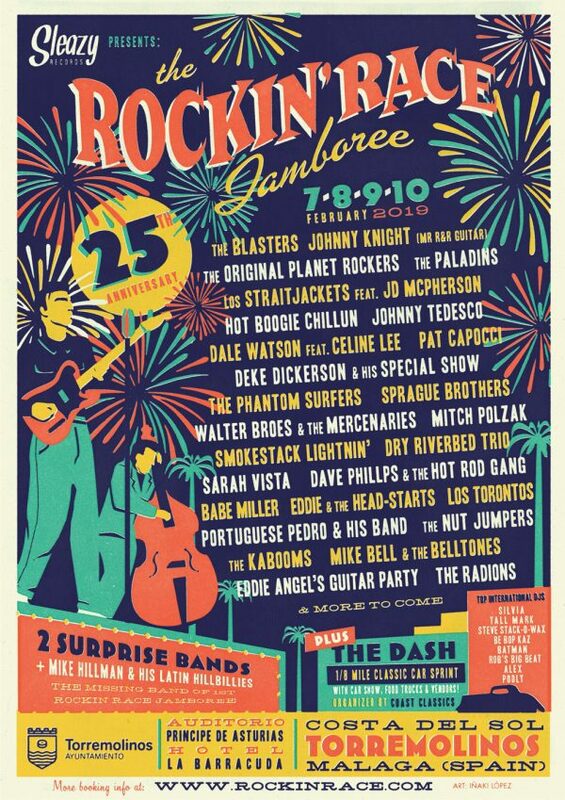 The Rockin Race Jamboree celebrates every year a festival with many leading figures of the genre, being a must for thousands of lovers of this type of music from around the world. During the event there will also be a retro market of the 50’s with vinyl records, clothing and other accessories and 50’s Car Show. Plaza de la Constitución Children’s Costumes Contest, activity aimed at the youngest ones starting at 12 midday. At 6 pm takes place the children’s parade. At 9 pm at Plaza de la Constitución, the Drag Queen Election. Battle of Flowers at 7:30 pm in Calle Larios. 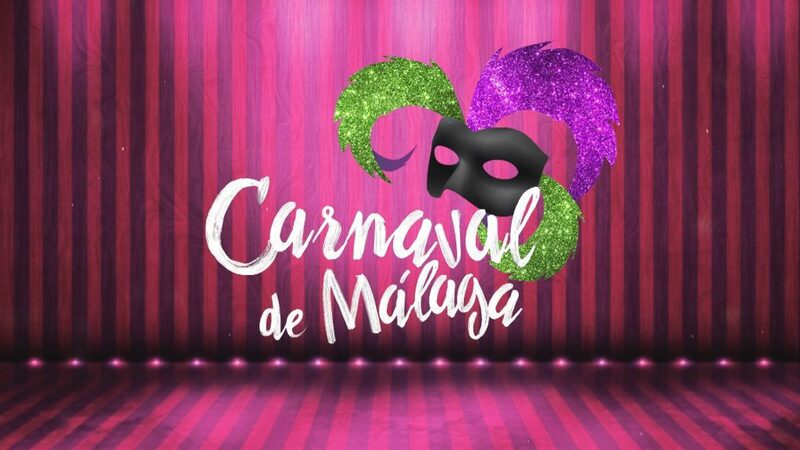 At 8:30 pm at Plaza de la Constitución take place performances of the Groups of the Final Carnival Contest 2019. At 1 pm Gran Boqueroná, with free tastings of fried anchovies at Plaza de la Constitución. March 3. Burial of the anchovy (End of Carnival). From 5 pm onwards will take place the Burial of the Boquerón, starting at Calle Larios and ending at Paseo Marítimo Ciudad de Melilla. The 2019 Nerja Carnival will begin on Thursday, February 28 and continue until Sunday, March 3. The streets of Nerja are animated during the days of the Carnival with music, parades, costume contests and fireworks. 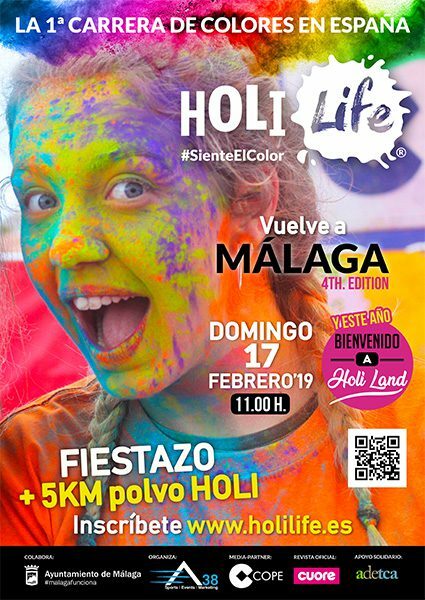 In Malaga will take place the third edition of Holi Run, which this year has changed its name to Holi Life. It is a playful-sporting event in which the participants end up full of coloured powders. The appointment will be next Sunday, February 17, and will start at 11 am at the parking lot next to Palacio de los Deportes Martín Carpena. Holi Life is an event suitable for everyone: families and groups of friends. The test can be done running or walking, according to the preparation of each one. Registration for the race (16 euros) can be made through the Holi Life website. As the date of the event approaches, the price of the tickets will go up. 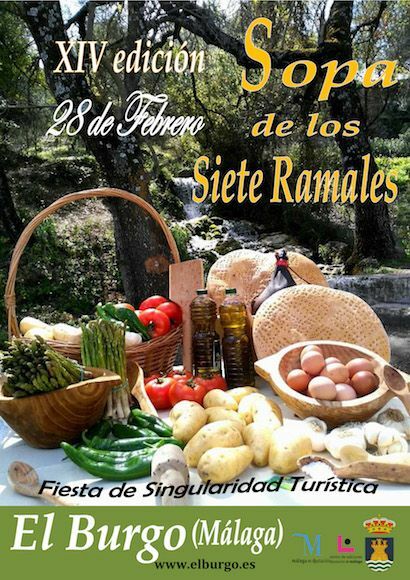 The municipality El Burgo, located in the Sierra de las Nieves Biosphere Reserve celebrates during the Day of Andalusia the festival dedicated to the “soup of the seven branches”, an emblematic dish of the town. Its curious denomination responds to the main ingredients with which it is prepared: tomato, pepper, onion, garlic, bread, potato and wild asparagus. Its preparation, similar to that of other traditional soups, presents as a particularity, the use of mint. During the day and in the afternoon are distributed traditional sweets from the village and the region, handmade in wood ovens, such as roscos de vino, cubiletes, empanadillas, mantecados, oil cakes and the well-known alfajor from El Burgo of Arab origin. The Day of Andalusia is a holiday throughout the autonomous community with many festive events. Please check the “how to get there” links. There you can find the exact location of those events.